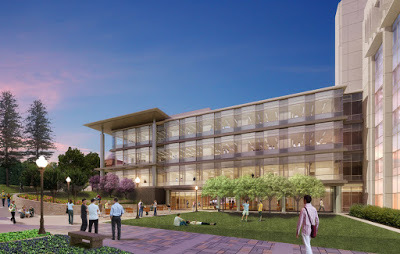 Expected to open by August 2015, the Atwood expansion will include a five-story, glass-fronted atrium, an open-area library, interactive classrooms that include round tables and large video screens, research labs, and faculty and research offices. Fume hoods throughout the building will also be outfitted with cameras, so that everyone can see demonstrations clearly, like on a cooking show. Pretty snazzy! The new Atwood design is focused on creating a science hub for the university. Chemistry department heads see where cross-discipline conversations and work as the future of their field, and that’s exactly what the design has in mind. 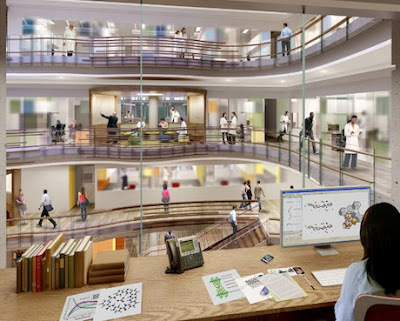 The building will bring organic and biochemists, physicians and biologists, faculty and students, together in collaboration on ground-breaking research, teaching forums, and current projects.